Ghostbusters 2 gets a lot of hate. I mean, it’s gotten hate for the past thirty years. And yeah, as you could tell by the title, I’m here to explain to you why Ghostbusters 2, the black sheep of the franchise before the better-received reboot came along, is actually a pretty awesome movie. Does that mean it’s anything approaching the original? Of course not. To be honest, few things are. 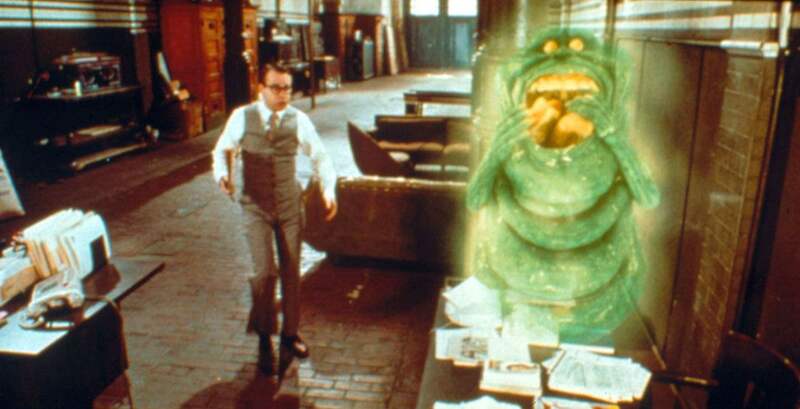 Ghostbusters is one of my favorite films of all time. But that doesn’t mean that Ghostbusters 2 is terrible. I mean, while the villain of the piece is no Gozer, he’s a genuine part of pop culture. Vigo the Carpathian is exactly the sort of super-serious antagonist you need in a sequel that’s way more crammed with jokes than the first, some of which land and some of which don’t. I think the reason for some of the hostility toward Ghostbusters 2 is the same as you’ll see for any sequel: It didn’t need to happen. Ghostbusters feels like a franchise, but that doesn’t mean it ever needed to be one, because the original is a truly complete film unto itself. And part of what I really like about the second is that it finds a smart way to pick up with these characters some time later. At the beginning of the first, we meet three intellectual schmucks who have been in college half their lives, are the laughing stock of the academic community, and then you have that ending. The whole city is cheering them on. The army and police couldn’t do anything to stop it. It was these four lovable genius-idiots in jumpsuits that saved New York. They gained respect and it felt earned. With that in mind, I think it’s a ballsy move that sort of pays off to open Ghostbusters 2 having already stripped all of that respect away. It makes sense. I’m always interested in the idea of continuing on after completing a journey, after achieving some sense of finality, because that’s the way real life works. While the Ghostbusters saved the city and everyone cheered and chanted their names, by the time the sequel rolls around they’ve been disbanded and gone their separate ways. Ray owns an occult bookstore, but he and Winston have been reduced to performing at birthday parties, singing along to the theme song like dancing monkeys, which is probably my favorite meta moment from the sequel. Venkman has his own terrible talk show in which, despite the things he’s seen, he doesn’t seem to believe anything the guests are saying. Egon works in a Columbia University lab conducting experiments in human emotion. The whole thing is extreme, and I think it lost a lot of viewers, but I buy into it. I think it’s totally the way mob mentality works to like something, cheer for it, and then either condemn it or insist it was fake to begin with. If the city came out and said a giant marshmallow terrorizing the city was not real, even if you saw it with your own eyes, that’s obviously the stance you’d rather believe. Having the team go their separate ways means you have a real sense of getting the band back together and I’m a sucker for that kind of plot. That doesn’t mean it’s a great plot overall or that it totally works in the way that Reitman, Aykroyd, Ramis and Co. intended it would. Not all of the neat ideas in Ghostbusters 2 totally mesh together. The slime is interesting on its own, the idea of the city having turned on the Ghostbusters, Vigo the Carpathian is a satisfactory villain but in some respects he’s kind of the least interesting thing about his own movie. You can’t watch Ghostbusters 2 in the same way you watch the first, where you’re generally aware that you’re being treated to a comedy milestone. But it’s a satisfactory follow-up of that world with those characters, that manages to give minor players like Lewis and Janine a lot more to do and has some great set pieces. I don’t know how people considered it too much to see the group riding the statue of liberty into battle when the original ended with its antagonist taking the form of a hundred-foot marshmallow mascot. I would definitely encourage people to go back and give the sequel a second look because there’s a lot of interesting stuff in there. Some of it’s truly great and some of it falls flat, but that doesn’t mean the movie as a whole is anything approaching a disaster. Much like the slime that—occasionally—drives the plot, it just makes you feel pretty damn good, when all is said and done. Eight Previous Cast Members Returning For Sixth Season Of American Horror Story!